The bill for Scottish Borders Council’s controversial purchase of the Lowood Estate at Tweedbank in December looks likely to come to almost £1.5m more than the £9.6m price quoted at the time. 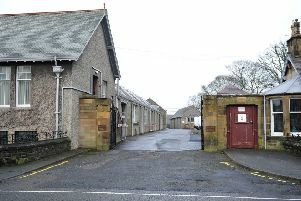 The council initially reported that it had spent £9.6m on buying 109 acres of land and nine properties from the Hamilton family to the south of the River Tweed with a view to building hundreds of houses and an industrial estate there. However, due to legal fees and the cost of borrowing money for the purchase of the land, the total bill to be picked up by taxpayers is actually in excess of £11m. A response to a freedom of information request, submitted by former Scotsman journalist Bill Chisholm, of Jedburgh, reveals that the council splashed out £80,944 on surveyors’ fees, and£72,120 on solicitors’ services, as well as paying £422,250 in transaction taxes. The authority also confirmed that the cost of borrowing for the purchase will be£780,000, assuming that loan is paid off over a 10-year period. Council officers believe that the site, as part of a wider Tweedbank development masterplan, will create 180 permanent jobs, plus a similar number during its construction phase. The site has also been earmarked for a 300-home housing estate. The council estimates that developing the estate would cost an extra £90m on top of the price of the land but would potentially generate £150m of gross value added for the region’s economy. However, concerns have previously been raised by opposition councillors over the value of the land and the price the authority paid for it. The Scottish Government’s district valuation service, a body offering impartial advice on how public money is spent, is reported to have told the council the land is not worth £9.6m, never mind £11m-plus. That report from the district valuer has remained confidential, though, and the council is refusing to reveal how much the service assesses the land to be worth. It said: “Environmental information regulations allow a public authority to withhold information in response to a request where one or more exception listed applies. “The council accepts that there is public interest in making information available in order to improve accountability and transparency, ensuring effective oversight of expenditure of public funds and that the public obtains value for money. “However, it is the council’s view that disclosing the information requested would prejudice the council’s ability to negotiate in private and consult on matters internally and externally. Tweeddale East councillor Stuart Bell, leader of the council’s Scottish National Party-led opposition group, told December’s full council meeting: “The separate Lowood Estate acquisition which we are undertaking by ourselves remains a tortured tale. “The £9.6m outlay, plus expenses, plus cost of maintaining the land and assets, plus the cost of borrowing mean we’ll need to sell it all for over £11m just to break even. “Reports we have seen in private say there will also be significant infrastructure costs to develop the site. “I don’t believe this site is worth £9.6m when you go into the detail of the terms and conditions of the sale, and that – as we know – was the opinion of the district valuer, whose assessment with vacant possession, which we will not have, was much lower. Mr Bell described the deal as a speculative and risky expenditure of public money at a time of economic uncertainty.